Babies Are Simple: Injured. Injured Bad. On Sunday afternoon, we went to American Fork to have a final hang out with the family before everyone went back home. Eliza was thrilled to have another opportunity to play with her cousins and ran off with Miles as soon as we got there. A few minutes before we finished cooking the meal, Miles came running up the stairs saying Eliza was hurt, and we could all hear a blood curdling scream. As a parent, hearing your child scream in pain and having no idea what is going is absolutely terrifying. Dustin, my brother-in-law, and I immediately jumped into action and ran to find Eliza. She was outside, and I could tell she was bleeding from her face. My heart was pounding as my nephew Miles told me that they were playing frisbee and Eliza "bumped into a column" that was outside. 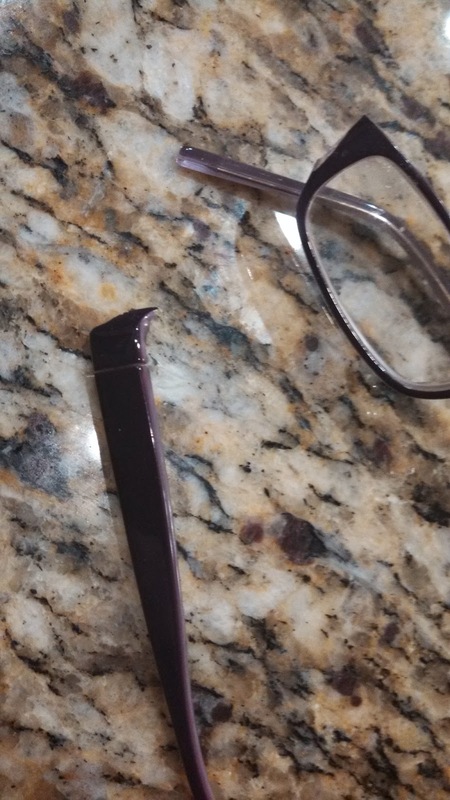 Somehow, Eliza's glasses broke when she hit the column and broke on the frame instead of absorbing any impact. 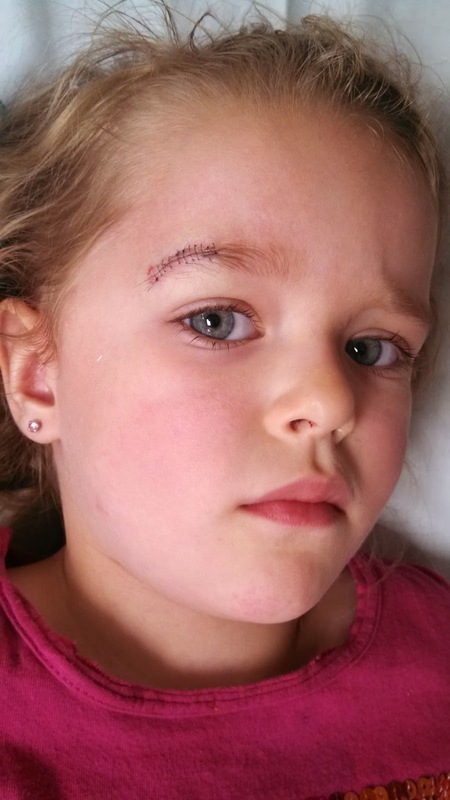 When they broke, they sliced her eyebrow open. Dustin carried Eliza upstairs, and we assessed the damage. It didn't look good. I was, of course, freaking out. I knew she needed stitches. Dustin and Nathan gave Eliza a blessing and said a prayer that we could feel a sense of peace and calm. We then left and went straight to the Emergency Room. Although Eliza was obviously in pain, she was able to calm down before we arrived. I knew stitches were inevitable, so I was mentally preparing myself for the upcoming trauma. Sure enough, Eliza needed 16 stitches. The doctor let us know that the cut went all the way down to the bone. Eliza was extremely brave as she was held down and the doctor stitched her up. We promised her all of the ice cream in the world after the ordeal (and we followed through). 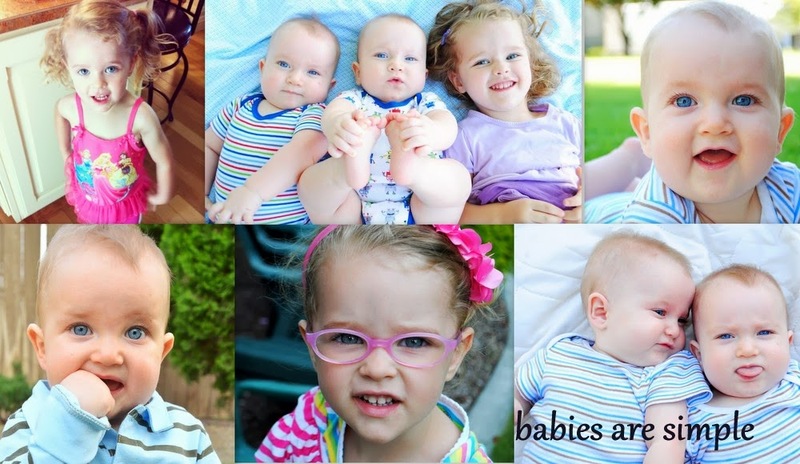 As soon as we got back to the house, I ran to find the pair of glasses that inflicted so much harm upon my child. I wanted to smash them into a million pieces once I found them. THIS IS UNACCEPTABLE. Eliza has had these glasses for just over a month. This is the third time they have broken. I should have known they were dangerous after the first two times they broke, but I never foresaw them hurting her like this. The first break occurred when Eliza accidentally bumped into the handle of the refrigerator. I was appalled at their lack of durability and noticed that they broke on the actual frame (rather than the leg) but went in for a replacement pair because they were covered by insurance. A week later, Eliza was going down a slide and somehow broke them again. This time, they scraped the side of her face a little. At that point, I should have known not to replace them. Again, I figured it was because she was being too rambunctious and let insurance cover the break. With this third break, I am furious with both myself and the manufacturer of these glasses. I went to the optometrist and showed them Eliza's stitches and the knife glasses and strongly advised them to no longer carry the dagger frames. 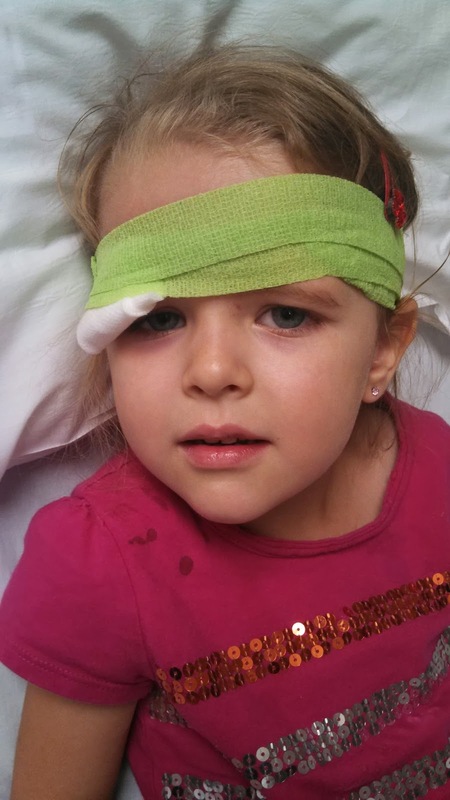 If the cut had been a half inch lower, it would have gone into Eliza's eye. That is a horrifying thought, but it also makes me realize that these glasses are not safe for children at all. So, we are back to pink glasses. Fortunately, my mom is a nurse at an eye clinic and has already ordered us some new frames. I don't care if they aren't covered by insurance, we are never buying a pair of frames like this ever again. It made so sad when this happened. I didn't realize how how bad those frames really were. I'm glad the new ones haven caused any injuries.